Smoothcraft is a resource pack that brings the minecraft world to a whole new level. By adding simple boarders to block, mobs, and items, and all the other things that can be textured. It truly brings minecraft alive with it's perfectly saturated shades and perfections in contrast. This resource pack does have some advantages and it's disadvantages. One advantage being it can run perfectly on any computer, slow or fast. One disadvantage, it currently only has a 16x16 resolution. There is also a form in which you have the ability to submit a review on this resource pack. You can also include your email in that form to receive person emails from the owner of Smoothcraft, my self, MasterMind_DC. On all the latest updates before it will get updated anywhere else! Want to download? Choose the level of intensity of Smoothcraft! Want to use an older version of Smoothcraft? Can I use Smoothcraft in a video? Yes, but you have to please give credit to me and a link to the post you found Smoothcraft on. 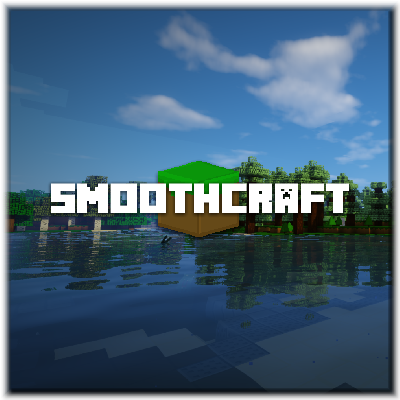 Can I edit Smoothcraft and redistribute? If you email mcsmoothcraft@gmail.com and ask for permission then I will gladly let you, otherwise no.